Lucy Wilson doesn't want to move from London to sleepy South Wales. But when she arrives at her new seaside home, it doesn't appear to be as boring as she expected. With the help of her new friend Hobo, Lucy Wilson must assume the mantle of her grandfather, the legendary Brigadier Lethbridge-Stewart, and defeat an invisible enemy before it's too late. 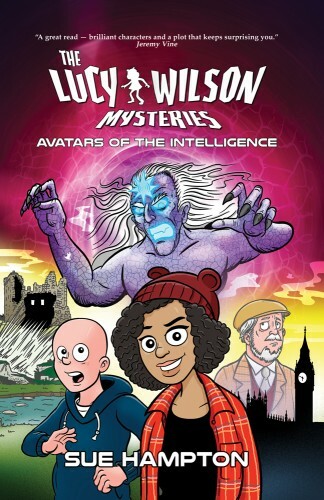 The Lucy Wilson Mysteries is a Lethbridge-Stewart spin-off adventure and featured licensed characters created for Doctor Who by Mervyn Haisman and Henry Lincoln. Avatars of the Intelligence, by Sue Hampton, is available for pre-order exclusively for fans for one month, with dispatch shortly thereafter. The commercial release of the book will be early next year. To visit the Lethbridge-Stewart website click here.